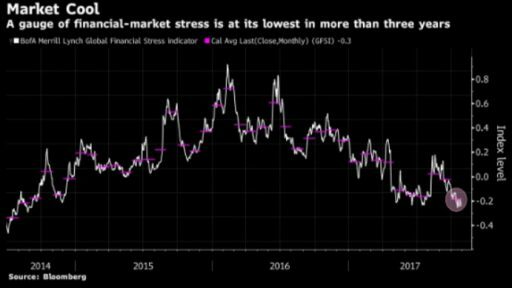 Market participants are particularly serene heading into a week packed with economic events, including a Federal Reserve rate decision on Wednesday, a U.S. jobs report on Friday and an expected new nominee to head the U.S. central bank. 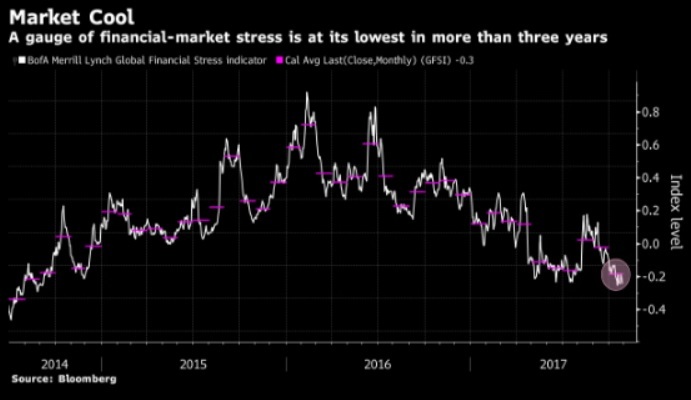 A Bank of America Merrill Lynch gauge of financial stress across asset classes is on track for its lowest monthly average since August 2014. The negative reading indicates that there is less anxiety than normal.